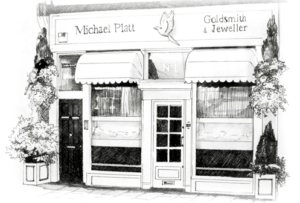 Michael Platt are independent Retail Jewellers and Master Goldsmiths situated in Wimbledon Village, London, SW19, established over twenty-seven years ago, passionate about gemstones, diamonds and jewellery. Our experience and expertise in jewellery making and jewellery restoration spans over forty years. We pride ourselves in offering a very professional personal service to our clients with exceptional high standards in workmanship at excellent value. We are well known and established as specialists in making unique beautiful Bespoke Jewellery in our in-store Workshop. 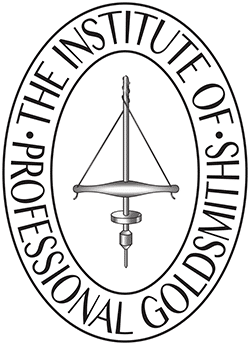 A design service is available where clients often deal directly with the Goldsmith who will make their bespoke piece. Working closely with clients, whether to create a truly unique special piece from new or existing jewellery or renovating or restoring treasured vintage jewellery, Michael Platt value and care for each and every job they undertake as well as their clients. Established nearly 30 years ago is a small welcoming shop, an Aladdin’s Cave full of wonderful jewellery treasures in platinum, gold and silver, either plain or set with a selection of sparkling diamonds, colourful gemstones or gleaming pearls. The shop, originally opened by Michael Platt, with Wayne Myers creating the jewellery in Hatton Garden, was a very tiny space. Since Michael retired, the shop has been enlarged and Wayne is now based full time in the shop, producing beautiful jewellery in our in-store workshop directly visible from the shop. You will find all the team warm and friendly when you visit our store, wanting to make your visit to us special and memorable. We are knowledgeable, passionate and dedicated about what we do in supplying, repairing and restoring jewellery. We always want to ensure that full customer satisfaction is delivered through trust, integrity and outstanding service and aftercare. In the shop you will see a wide variety of stock items and prices, from simple elegant silver pendants, twinkling diamond engagement rings and bands to unique bespoke pieces set with unusual, and sometimes rare, vibrant gemstones. Members of our team will be on hand to guide and help you find the perfect jewellery piece, whether for a special gift or for yourself. The shop is to be found at the heart of Wimbledon Village at number 1 Church Road. Our famous neighbours, the All England Lawn Tennis Club are also located just a little further down the hill in Church Road. Every year during the Wimbledon Tennis Tournament, the Village buzzes with excitement, welcoming the large influx of new visitors and tennis players. Cafes with street seating give the Village a relaxed holiday feel, especially when the sun shines. The Village is a delightful place with a great mix of shops, restaurants and, surprisingly, diverse office businesses, all lucky enough to be positioned near to Wimbledon Common adjacent to the Village, an area of untouched natural beauty, calm and tranquillity. Wimbledon has had many famous residents over the years and, for us, it is very interesting to know that a previous Elizabethan Member of Parliament and ultimately Lord Chancellor of England, Sir Christopher Hatton resided in Wimbledon. Hatton Garden in EC1, today the London centre of the jewellery and diamond industry, is directly named after Sir Christopher, linking Wimbledon forever with Hatton Garden and the Jewellery Industry! 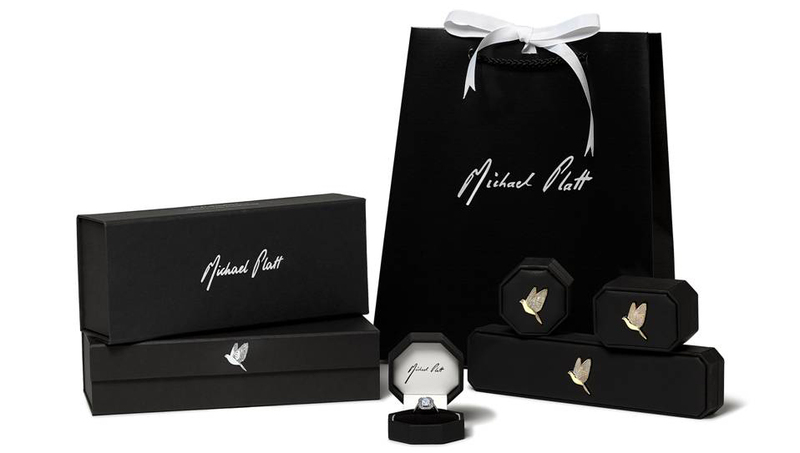 Michael Platt will guide customers through the maze of information on diamonds; giving an understanding of the four ‘C’s; Cut, Carat, Clarity and Colour. With a little background information, effective decisions can be made to realise dream diamond jewellery for the budget set. Although size (carat), clarity and colour are equally important and determined by nature, it is the skill, craft and expertise of the Diamond Cutter that will truly bring a diamond to ‘life’. Michael Platt places enormous emphasis on the importance of excellent cutting and polishing; if a diamond is not cut or polished to the highest of standards, no matter what the colour or carat, it just will not have an enduring sparkle. Please make an appointment if you are interested in purchasing an Engagement Ring so we can help you make the right decisions. The Dove has been a prominent symbol above the front door of our shop in Church Road, Wimbledon Village SW19 for nearly 30 years. Doves are closely associated with love and peace. 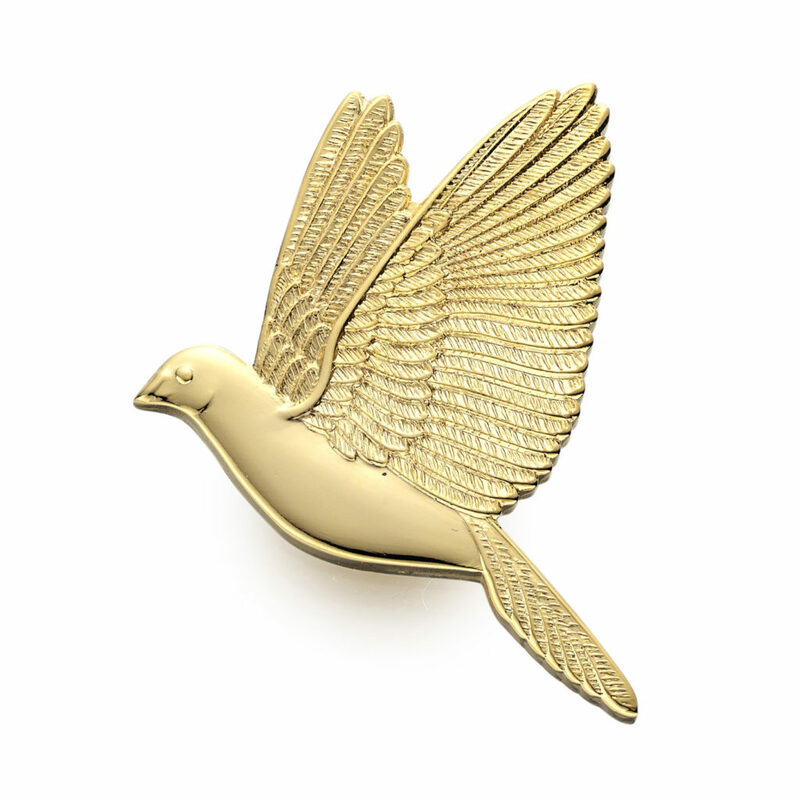 The dove was singled out to represent romance because Greek mythology associated the small, white bird with Aphrodite, the goddess of love (known in Roman mythology as Venus). Aphrodite/Venus is often depicted with doves fluttering around her or resting on her hand.